Rocky constructed the shell of this Arktos men's parka out of polyester micro tricot; you will like having this material, because it's comfortable,breathable and particularly quiet. The faux-fur lining within the hoodprovides unexpected comfort and can be washed quite easily. The hood can be adjusted with no trouble and although it has been carefully concealed,there is a zipper to remove the hood entirely. 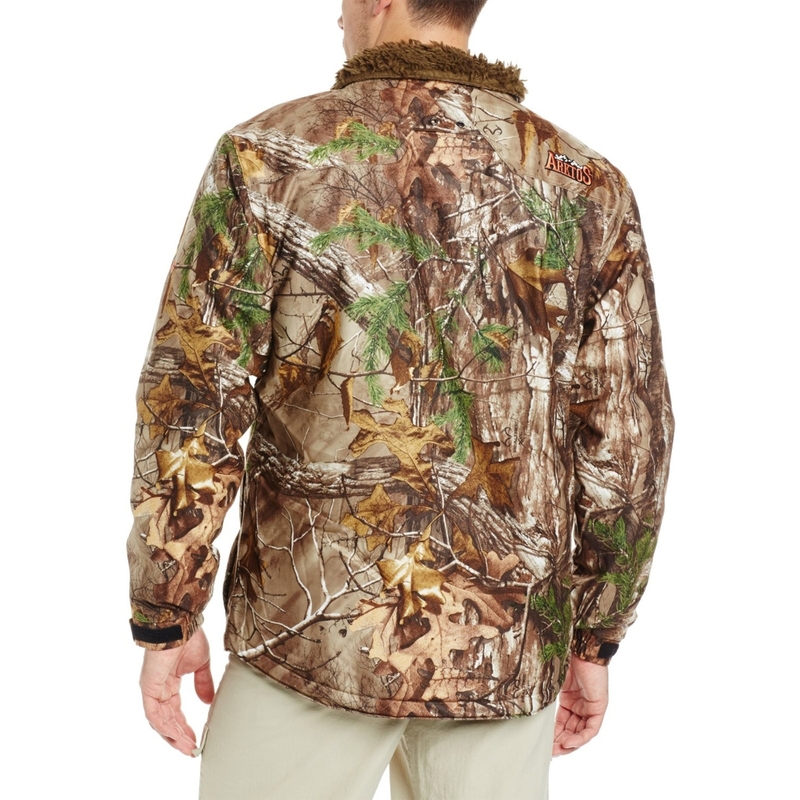 The camouflage looks incredibly true to life and will help to conceal your presence while you are stalking or sitting up high in your tree stand. Similarly, because the fabric was treated with Rocky SIQ AtomicTM, you will not have to worry about animals picking up on your scent (it prevents odors from being emitted) and it also helps to stop perspiration from forming underneath. The amazing thing about water is, while we all need it to live, it can certainly ruin an outdoor excursion when you are exposed to it all-day long. Wanting to provide you with optimal dryness protection, this men's parka was assembled with Rocky Waterproof Construction. To make additional warmth available you, but not wanting to disturb the great fit of this outerwear, Rocky incorporated 100 grams of ThinsulateTM insulation into the design. 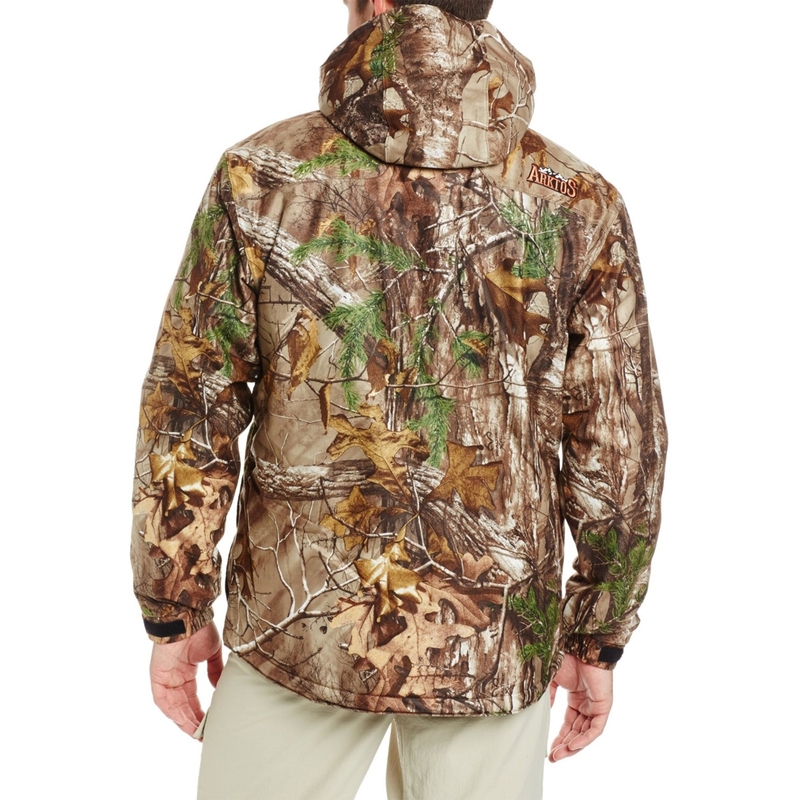 Hidden snaps running down the front of this men's jacket allows the zipper to remain masked underneath; this is an outstanding way to give you asecure fit, without exposing details that would normally be a clear indicator that a human is in the woods. Elastic cuffs are a very small detail, but they allow you to move comfortably and provide an excellent fit. Toconveniently store your belongings, this waterproof parka was equipped with multiple pockets; two cargo sized, one inside the chest pocket and one located on the outside of the chest. 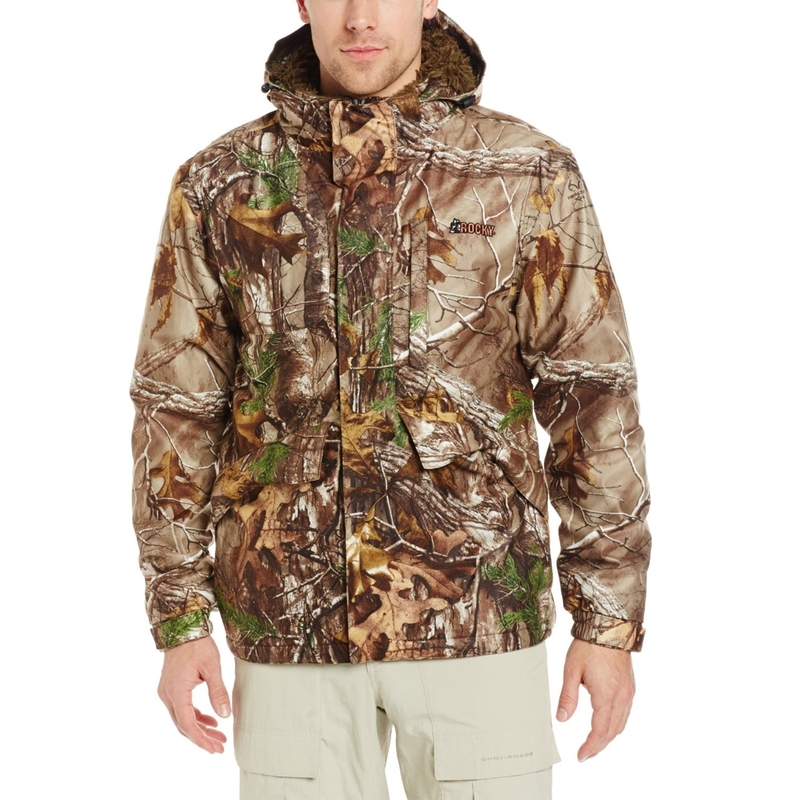 When you're wearing this Rocky Arktos men's parka, you'll be able to take advantage of its waterproofing, powerful scent control and insulation. You'll also recognize the value of having such terrifically comfortable performance fabric, as well as enjoying the outerwear's phenomenal fit. So when you want to get the most out of your hunting experience, just throw on this #HW00003 parka.